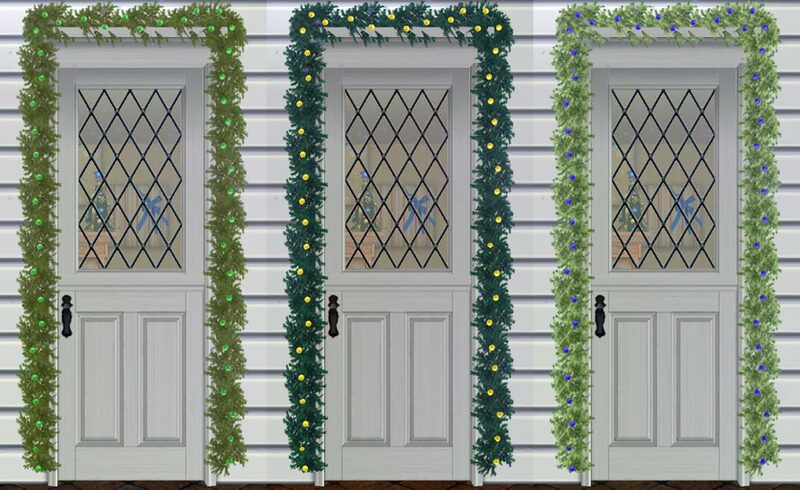 Updated: 2 tile garlands for doors and windows added. 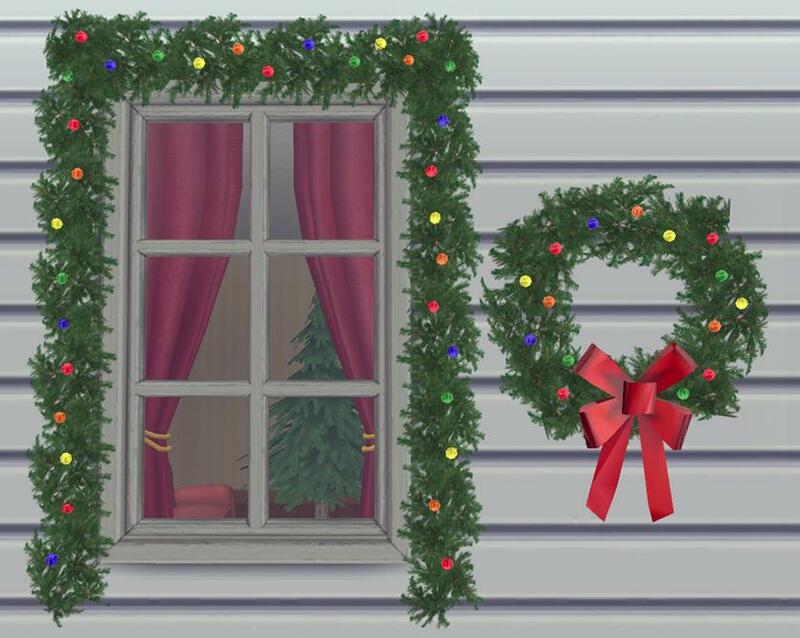 If you've already downloaded the set, the 2 tile garlands are available as a separate download. 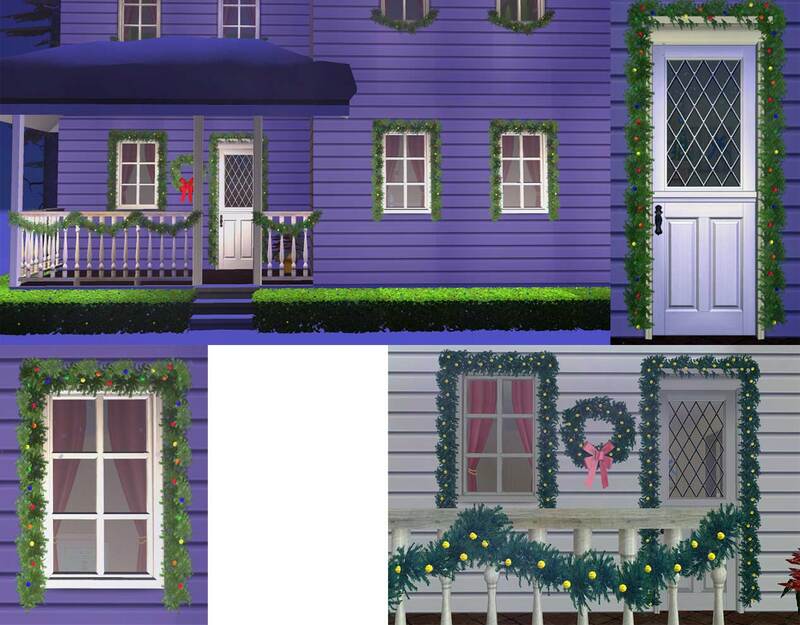 If you're just now downloading the set, the 2 tile garlands are included in the set download. A couple of meshes were a bit hard to grab in game. 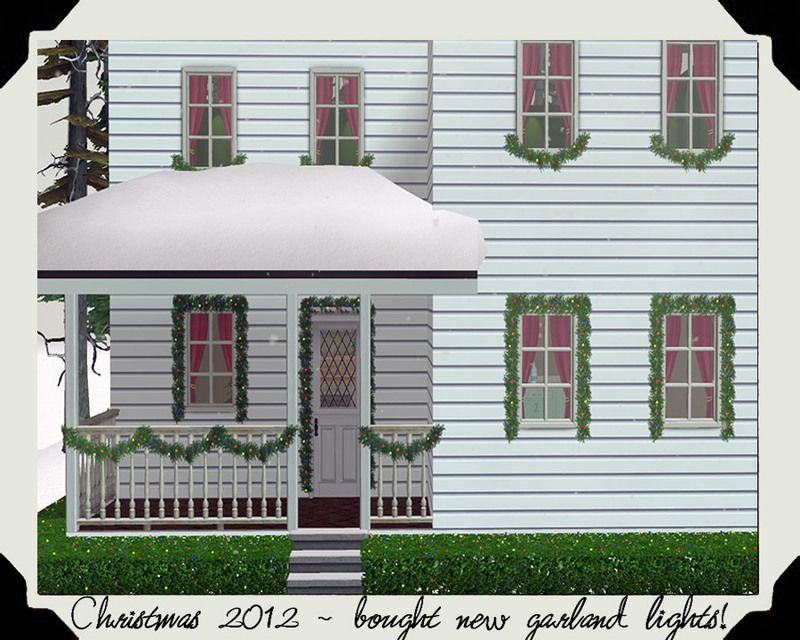 This has been fixed and the file updated today 11-26-2012. If you're having trouble grabbing any of the meshes, redownload and let the files replace the ones you have in your downloads folder. These are NOT low poly meshes. 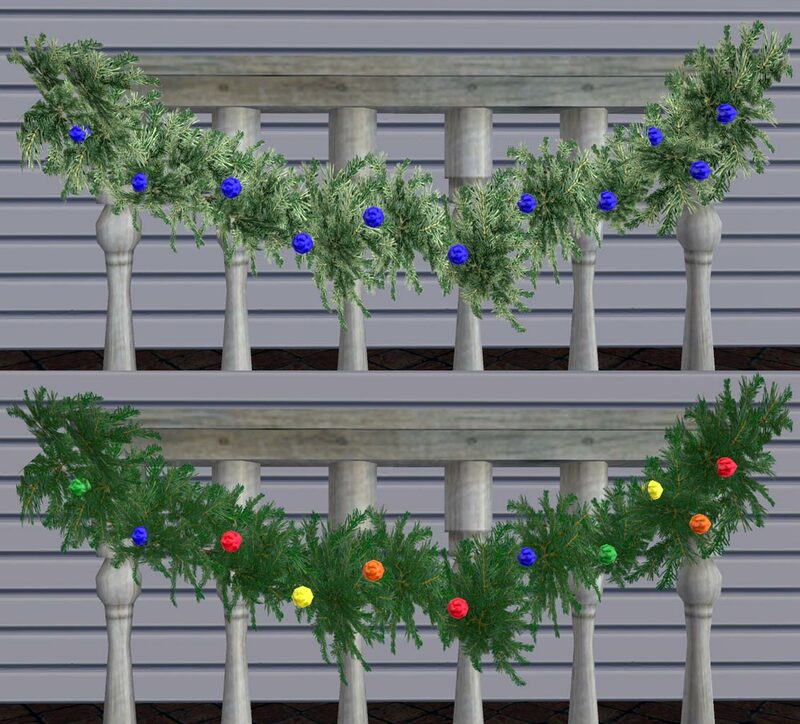 The lowest in polys is the fence garland, the highest is the door garland. Please pay attention to the listed poly counts and don't go too wild with these if you have a lower-end computer. All will "keep buying" - so you don't need to select a mesh over and over again. This comes in handy when placing them on fences. Speaking of fences: the fence garland is positioned to fit on the slightly taller fences. If you can shift objects, you can shift these to fit better on shorter (or even taller) fences. 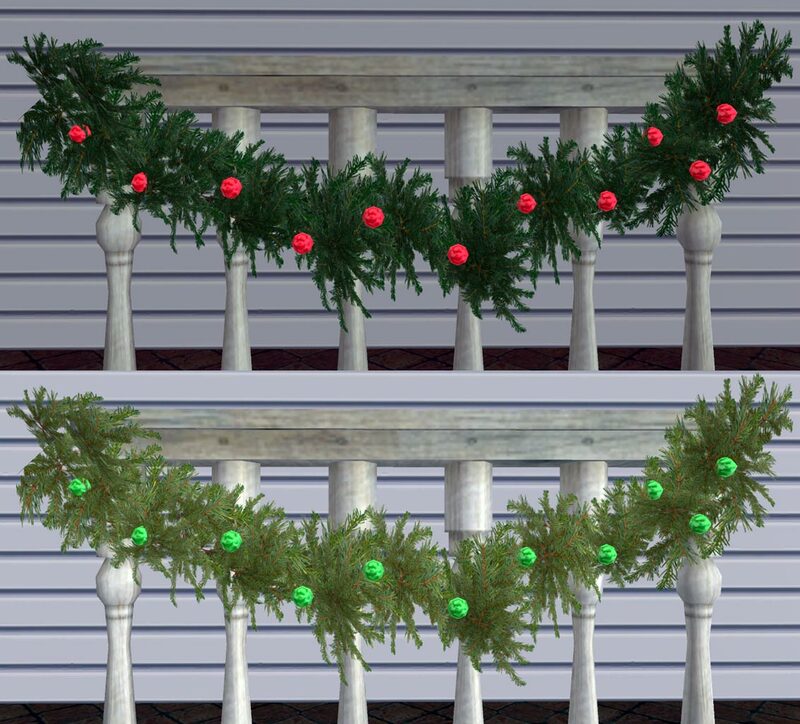 No cheats are needed to place these UNLESS you want to place the fence garland under a window. Then you will need to use "moveobjects on" to place it. The hedge lights are positioned to fit over the shorter hedge. You can use 2 sets if you want them to cover the taller hedge AND can shift objects. 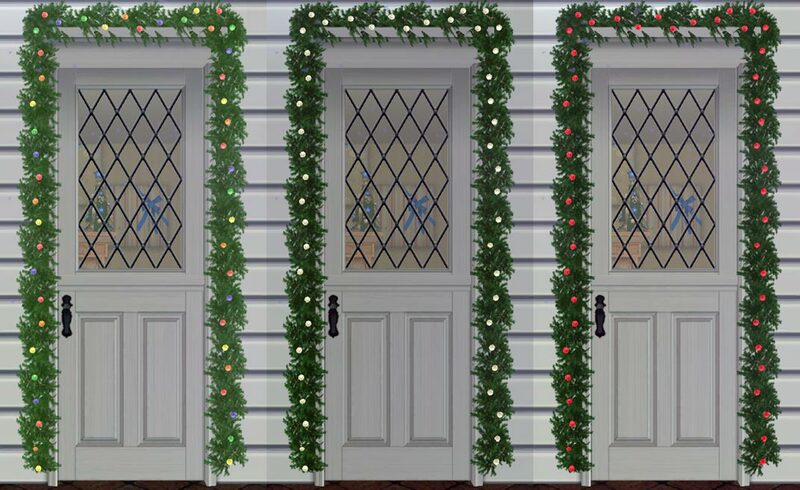 The last important thing you'll need to know: the fence, door garlands, window garlands and wreath are repository. 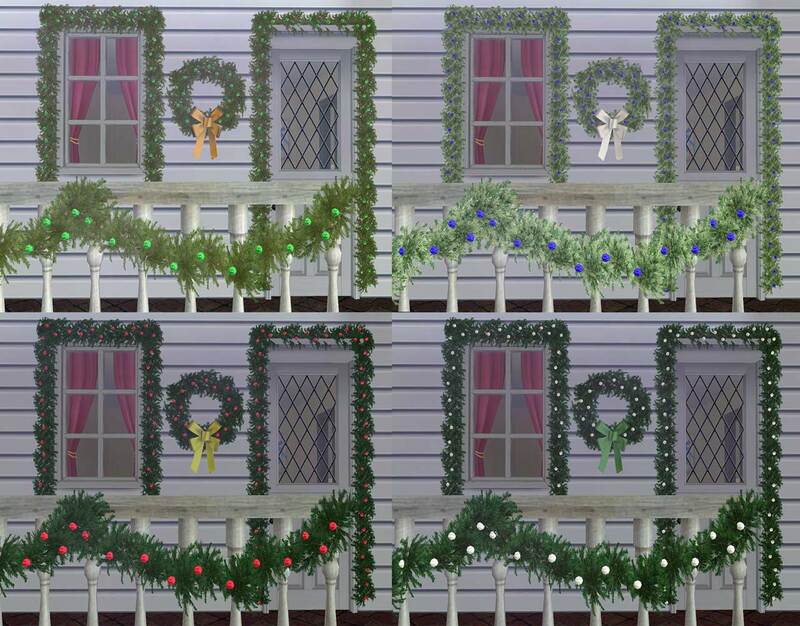 The fence garland is the MASTER, you will need that in your game for the others to work. 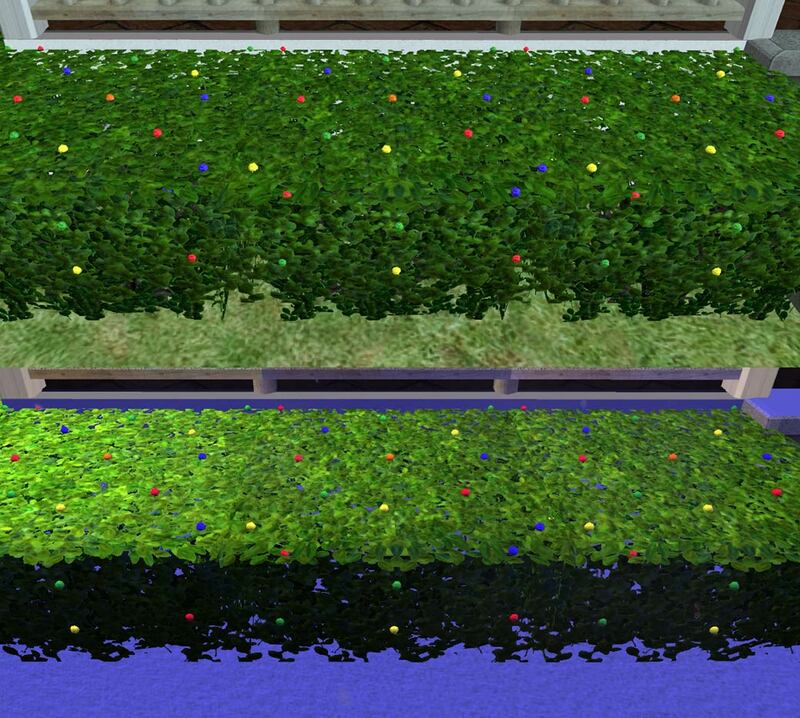 The hedge lights are not slaved to any other mesh, so you can use them alone if you don't want any of the others. MilkShape, SimPE, PhotoShop CS2 and the company that made the garland I have waiting for me to decorate my own house with, lol.